Dell’s Alienware division has been making noises about redefining mobile gaming with new notebook models since the first of the year, and while the latest information is mostly just a tease of what’s to come, the company has released some new details—just not much in the way of pricing or availability information. Alienware is rolling out three new gaming notebooks targeting three very different classes of gamer: the M11x offers a highly-portable gaming rig with an 11-inch screen, the M14x steps out a little to a 14-inch display, and the forthcoming M18x will be “most powerful 18-inch gaming laptop in the universe,” according to Dell. 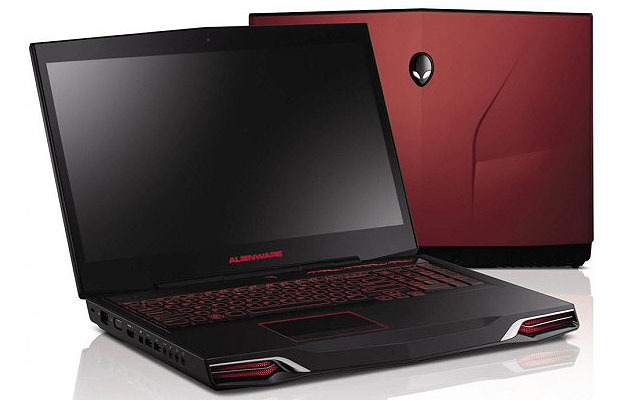 First, Alienware is planning to update the existing M11x gaming notebook to sport Nvidia GeForce GT540M mobile graphics and support up to 16 GB of RAM. The systems will still pack a 11.6-inch 1,366 by 78-pixel display, but will offer HDMI 1.4 output to support HDTVs and 7.1 surround sound audio. The systems will also feature second-generation Intel Core processors with Turbo Boost technology, and an option for WiMax 4G wireless broadband. 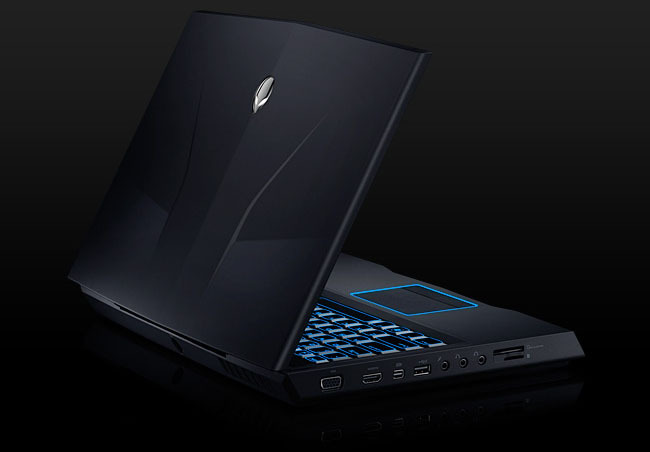 Alienware’s new M14x will be available with either a 13,66 by 768-pixel display or a 1,600 by 900-pixel display, powered by Nvidia GeForce GT555M graphics with up to 3 GB of dedicated video memory. The M14x will also feature Nvidia Optimus technology to extend battery life when users don’t need full graphics capability, and will support up to 8 GB of RAM. Like the M11x, the system will be available with a 4G WiMax option and second-generation Intel Core processors. Finally, Alienware is continuing to tease the M18x desktop-replacement gaming notebook: the system will be based on the new Intel “Huron River” architecture with a factory-overclocked Intel Core i7 processor running at speeds of up to 4 GHz. 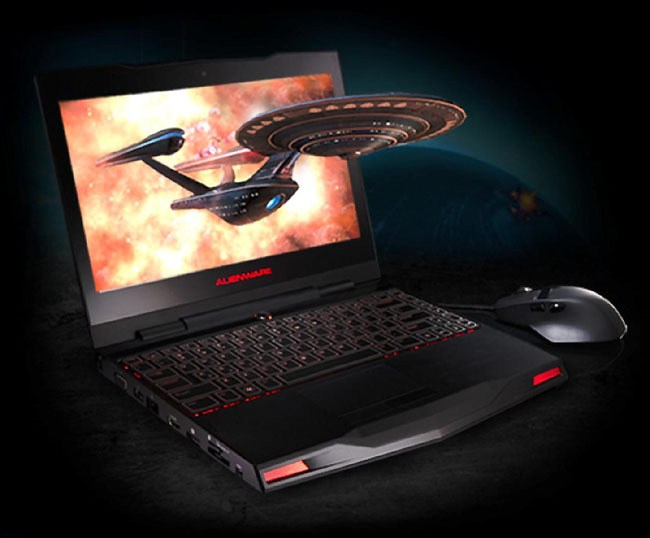 Living up to its name, it will also feature an 18.4-inch 1080p display, dual graphics options from both Nvidia and AMD (supporting Crossfire X and SLI, respectively), HDMI 1.4 and DisplayPort output, support for up to 32 GB of onboard memory, HDMI input for folks who want to use the 1080p display for other content sources, and options for Wireless HD and 3D output options for external 3D displays. What’s missing from the Alienware announcement? Prices and availability dates. Although the M11x is up on the Alienware site, the specs (and presumably pricing) reflect the earlier model. The M14x seems to have been updated with the new specs, and pricing starts at $1,199; however, the M18x is still “soon to be released,” with no word on pricing or availability.